Xenia Stanford is an award-winning writer, award-winning editor, popular genealogical speaker and highly regarded researcher. Her motto Let’s Trace Your Roots and Share Your Story shows her belief that if you do all the research and never share it, it has been a wasted effort. She guides you to present your family history in ways to share and preserve it for your family now and for future generations. Some may wish to share it for a wider audience than their family and Xenia also guides them to that goal. Xenia Stanford is a professional genealogist with over 40 years’ experience. 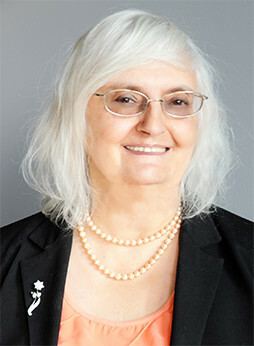 She has written many articles for genealogy magazines and was the editor of the Alberta Family Histories Society journal Chinook, which twice won the National Genealogical Society Newsletter Competition when she was the editor. She also won an international writing competition and was Editor-in-Chief of a web-based knowledge management magazine that earned respect in the international management leaders’ community. 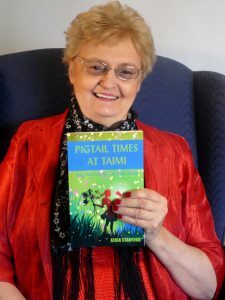 She has written several books including the sold out “Pigtail Times at Taimi: True Tales from My One-Room School.” She also has edited professional books and articles for authors around the world and ghost-written and/or edited many books for North American authors. She was a teacher, educational researcher, corporate librarian and archivist, systems developer as well as a business leader, facilitator and consultant. She now devotes her time to genealogical research, writing books and editing memoirs. Her areas of expertise include Métis, First Nations, French North America, Canadian History, Eastern Europe, presenting family history (preserve or perish!) and teaching how to care for family artifacts. She has a B. Ed. in Secondary English and History as well as coursework towards B.A. (Hons) and M.A. (Hons) in English literature and linguistics. She believes the real history is through literature at the time. Who better to know the history of a period than the writers who lived through it? She first became interested in family history as she sat beside her grandmother in the kitchen listening to stories of her life in the old country and her struggles in the new one. Xenia began documenting the stories her grandmother told and the people she mentioned. In 1990 she made her first trip to Europe to find her grandmother’s family there and saw firsthand the places her grandmother described and the traditions that still exist. She has visited since and walked in her grandmother’s footsteps! Her goal is to give others that same experience in tracing their ancestors’ footsteps here and abroad.